Students in U.S. Congress class, each in the role of a House member, debate a bill during a floor session. Gisela Sin is fascinated with the U.S. Congress. It’s the focus of her research. But the political science professor also knows that learning how Congress works can be extremely boring. All that dry stuff about rules and procedures, and how a bill becomes law, with little feel for the reality of politics. So what if students could learn by doing? Become legislators for a semester? Sin made that possible several years ago when she discovered a program called LegSim (for “legislative simulation”), developed at the University of Washington. She started using it as a tool to create a simulated House of Representatives within her Congress course. Now she sees students engaging at a new level. “They really learn the legislative process, very strongly,” she said. The students, as representatives, choose their party affiliation, as well as real-life districts to represent. They elect their speaker of the house and their party leadership. They also get assignments to committees, 17 in all, and form issue-oriented caucuses, both serious and whimsical – ranging from the Caucus to Lower the Cost of Higher Education to the Caucus for Hawaiian Shirts on Mondays. 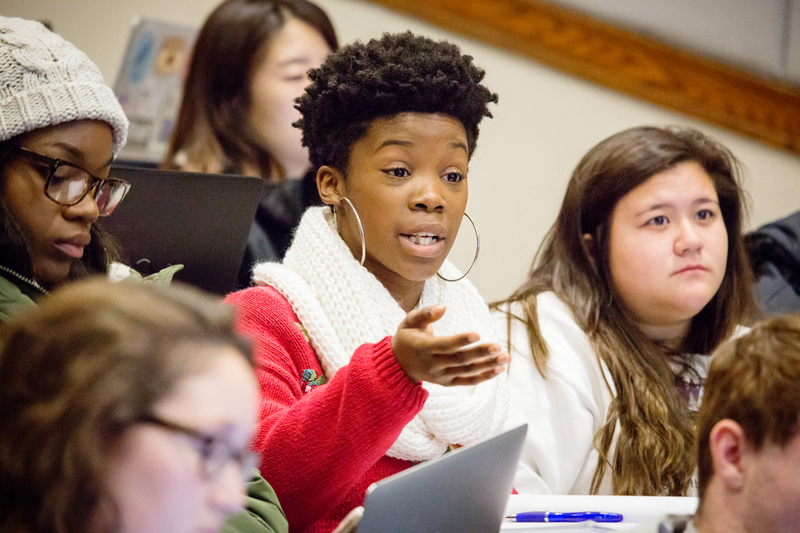 As the semester progresses, they research, write and lobby for legislation; work through potential bills in committees; and end the course with four sessions on the House “floor,” debating and voting on legislation. The value of LegSim is that it gives students online tools for organizing and communicating within caucuses and committees, as well as member-to-member through “Dear Colleague” letters. It also gives them tools for submitting, moving and monitoring legislation, and resources on rules, floor procedure and etiquette. Majoring in math and computer science and minoring in political science, Sullivan served as chair of the House Rules Committee. That’s not even taking into account the time spent on fundraising, constituents, lobbyists and election campaigns – topics dealt with in the course, but not in the simulation. Sewell had served an internship with an Illinois congresswoman the summer before the class. She knew the stakes weren’t the same in their classroom simulation as they were in the real Congress.